Emory University School of Medicine cardiologists note that X-ray via CT can measure the size of the fat layer surrounding the heart. The fat layer around the heart is called epicardial adipose tissue. Knowing the size of this harmful layer can be used as a gatekeeper, says Paolo Raggi, MD, professor of medicine (cardiology) and radiology, plus director of EUSM’s cardiac imaging center. The imaging result of this threatening layer of tissue can help a cardiologist determine if a nuclear stress test should be the next step for the patient. A nuclear stress test measures how well the heart uptakes oxygen via blood flow during rest, and during stress (the stress may be in the form of exercise, or chemically induced). According to this new study information, people with a higher volume of fat around the heart tend to have the most dangerous form of plaque buildup: non-calcified plaque. Calcium, a mineral, tends to accumulate in coronary artery plaques. However, the mere presence of calcium in an individual plaque simply doesn’t always mean impending trouble. Plaques that are not calcified are indicative of active plaque buildup. The adipose tissue surrounding the heart, compared to the fat just beneath the skin, secretes more inflammatory hormones. When the fat around the heart secretes these inflammatory hormones, this may promote an active plaque buildup process in the coronary arteries. 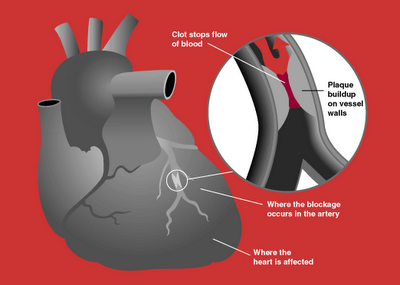 This is demonstrated by the presence of the non-calcified atherosclerotic plaques. These conclusions came from examining 214 patients via cardiac CT. The patients also received calcium scoring, assessment of fat around the heart, and coronary plaque evaluation. In patients with non-calcified plaques, the volume of fat around the heart was the highest (about 60 percent greater than patients with calcified plaques). excess abdominal fat, even if your legs and arms are thin and your weight is “normal” for your height. Intuitively, you should know that the more fat around your heart, the more likely you will have coronary artery disease. The fatty tissue around one’s ticker can be trimmed, and future fat can be prevented, with cardiovascular exercise. The heart is a muscle, and in order for this muscle to be fit and healthy, it must be exercised. Heart Attack after Normal Stress Test: How Does this Happen?